Irrigation Protection Services, Inc (IPS, Inc.) is dedicated to serving, maintaining and providing solutions for the golf and commercial irrigation market. 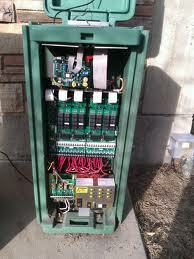 We specialize in servicing, updating and upgrading mechanical, electrical and computerized controls. We are a Certified Pump Service Network Provider for Watertronics, Inc and are familiar with other modern pump station manufacturers. In addition, as the life expectancy is depleted from your “vintage” pump station, we will offer solutions and cost-effective new pump station sales based on your budget requirements for your best return on investment! Rest assured of personal service, in-depth evaluation and a commitment to the golf industry! ” Knowledge is Power, Sharing is even more Powerful and Gratifying”! !